If you should ever travel to Göteborg and are interested in Hasselbad history and would like to see some sites related to the man and his camera, here are some suggestions. First if you are new to the city you will need a map! Also if you are not European you may find that driving in the downtown area is confusing and frustrating. Take a taxi, use the excellent Göteborg tram system – or walk. It is a very nice city to walk around. It is difficult to recommend where to start, but an important and symbolic point might be the grave of Victor and Erna Marker 1. 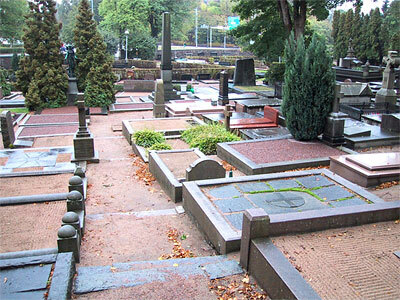 They are buried in the church yard of the Örgryte Gamla Kyrka (Old Örgryte Church) off Örgrytevägan just east of Liseberg and the Svenska Mässan. 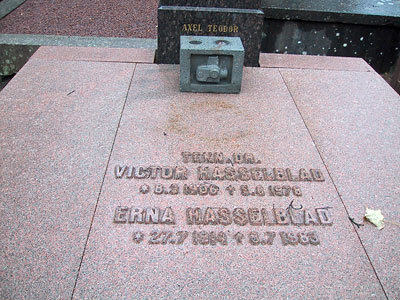 The grave is most easily found by looking for the distinctive cast Hasselblad replica on the area on the east side of the church. 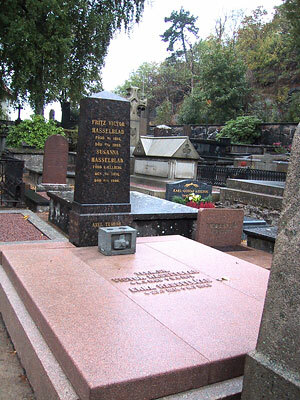 The two photos below show a location view and two views of the grave itself – note it is adjacent to his great grandfather FW Hasselblad. The fallen leaf (“blad” in Swedish) was on the stone when I took the photo – no placement done! To the west of Örgryte Gamla Kyrka, make your way to Götaplatsen Marker 2. At Götaplatsen are several important locations. The Hasselblad gallery (part of the art museum) has continuing exhibits of photography. The Hasselblad Foundation has a library and archives which can be visited with prior appointment and is just off Götaplatsen at Ekmansgatan 8 Marker 3. 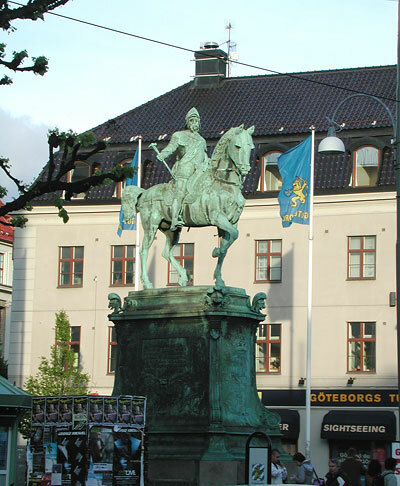 Most importantly, a statue of Victor is on the east side of Götaplatsen. 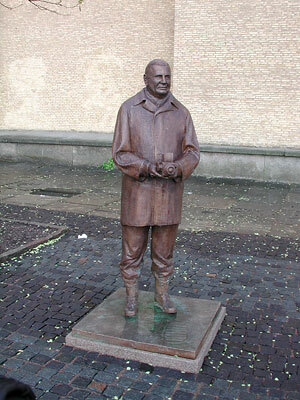 It was unveiled on the occasion of his 100th birthday in 2006. 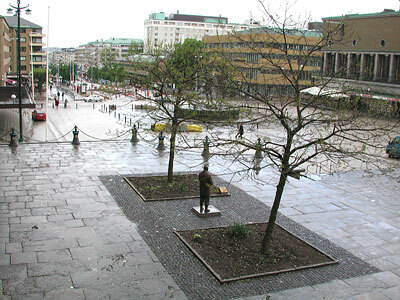 The photo to the right is a view looking north on Kungsportsavenyn from Götaplatsen – with Victor's statue (photo below) in the centre foreground. Traveling north toward the center of the city on Kungsportsavenyn (“the Avenyn”) - the main thoroughfare of central Göteborg - you will arrive at Kungsportsplatsen on the north side of the canal (Rosenlundskanalen) where the most notable landmarks are the Tourist Bureau, the major tram station and a favorite local rendezvous spot – a large statue of a mounted King Karl X Marker 4 – but locally called “the copper horse”. 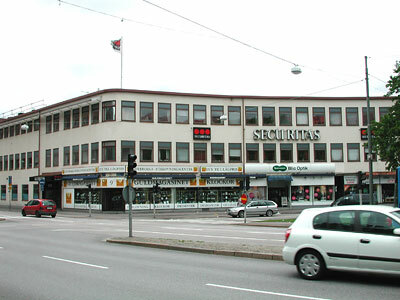 Kungsportsplatsen is the location of the original Victor Foto shop that Victor founded in 1937 – his first business enterprise. This is where everything really began. Above an old post card (from the 1930’s? – to give you an idea of what it was like when his shop was there) and to the right a photo of the Karl X statue in Kungsportsplatsen. Kungsportsavenyn and Kungsportsplatsen become Östra Hamngatan as you travel north. Stop at the building at 41-43 on the west side of the street Marker 5. The first photo is from the 1950’s the second is from 2006. This building was for many years the headquarters of Hasselblads Fotografiska – the subsidiary of FW Hasselblad that was the distributor of Kodak film and the head office of the Hasselblad Foto chain of photo stores owned by Victor Hasselblad from 1942 until it was sold to Kodak in 1966. 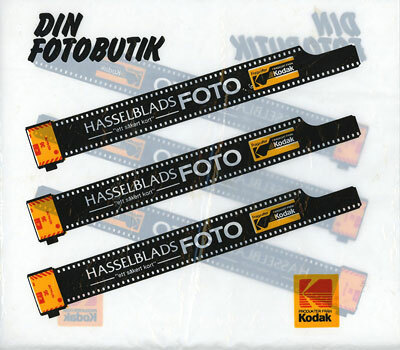 Hasselblads Foto stores existed to the 1990’s – I purchased a number of Hasselblad items there and made a point of keeping one of the poly shopping bags that my purchases were given to me in. Turning right off Östra Hamngatan at Brunnsparken travel along the north side of the canal (Stora Hamnkanalen) towards Odinsgatan and Odinsplatsen Marker 6 – less than a kilometer. 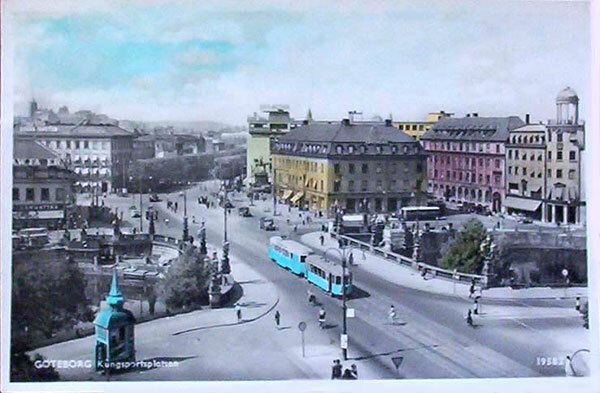 Although it is called Odinsplatsen there is little evidence of a city square as it has been filled in with buildings. In Odinsplatsen, we come to the site of the original Hasselblad factory (where the first Hasselblad cameras were assembled). 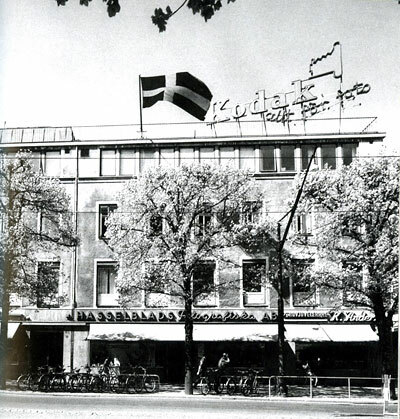 The original building was located on Odinsgatan from 1948 to 1951. The original building no longer exists, there is presently a large building (primary occupant seems to be Securitas) built in the 1950’s or 60’s on the site. 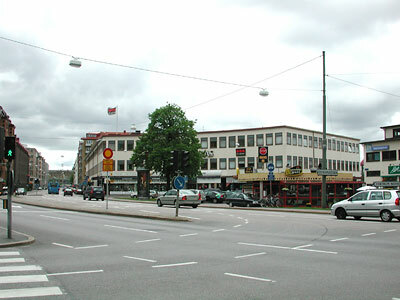 In late 1951 the operations of camera manufacturing and assembly of cameras was moved to Östra Hamngatan 2 Marker 7, where it remained until late 2002. This is what I, and many others, refer to as the “old” factory. This was the building that was built by Victor Hasselblad’s great grandfather to house the FW Hasselblad wholesale company and the original part dates from the mid 1800’s. This is the building that is most often shown in postcards and ads from the 1950’s through the 1990’s. 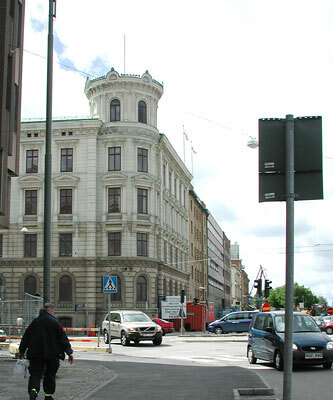 The Östra Hamngatan building with the distinctive circular corner tower is at the corner of Östra Hamngatan and Sankt Eriksgaten near the river and across from the new Göteborg Opera House in the area known as Lilla Bommen. The nearest well known landmark is the Nordstan shopping Center which is on the east side of Östra Hamngatan across the street. In 1952 an addition was made to the original building (along Sankt Eriksgaten) and in the 1960’s another addition was made in the same direction to supply space for the growing company. The styles of these additions is obviously quite different and reflects the architecture of the times. The upper floor of the original building was Victor’s apartment where he stayed when it was necessary to be in the city during the week or when he did not feel like driving to his country home Råö south of Göteborg. The Östra Hamngatan building was a charming maze of offices and machine shops and assembly stations, full of passageways and elevators and totally disorienting to a visitor. However it had wonderful architectural details and a sense of history. Victor Hasselblad’s apartment on the top floor, which he furnished with antiques and art was an impressive and exclusive part of the building. Long after he had left it (in the 1990’s when I visited) the area (then used for archiving old files and record books) was still referred to as “Victor’s apartment”. In 2006 when I last saw the building it was being developed into condominiums and was being gutted for the most part. The significant and distinctive oldest part of the building is a designated heritage site and its style and details are being preserved. 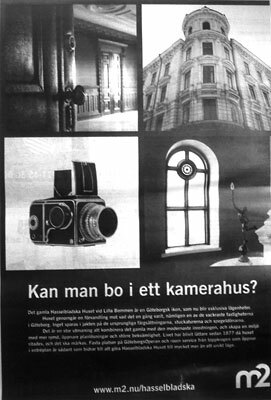 An ad in the Göteborg newspaper from May 2006 is shown below. Victor’s top floor penthouse will have a price of 20 million SEK or about 2 million euros. In October through December 2002, the factory was moved to a spectacular new custom designed building across the river at the address Pumpgatan 2 Marker 8. The timing for the move was poor as sales were in a major decline due to the changes happening in the photo industry – especially the change from film to digital. The building was designed to accommodate 400 but in the downsizing efforts to save the company, staff was reduced to 75 and the building was far too big and expensive for this much smaller company in a major financial crisis. The Pumpgaten building was innovative but very impractical. It was poorly set up for the purpose of building cameras, was in an isolated industrial area and generally disliked by the staff who worked there. 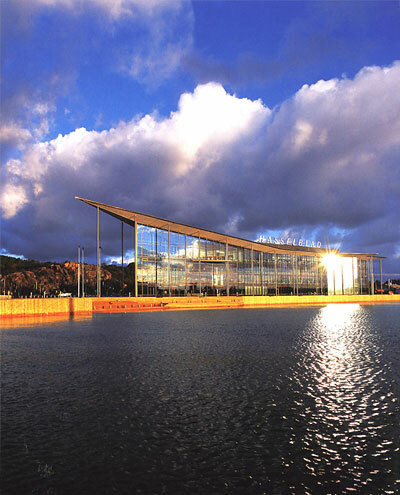 The Pumpgaten building has been compared to a huge glass ship on the shore of the Göta Älv. It was felt by many workers to have been beautiful but not very comfortable or practical. With its extensive glass it was warm and so bright that reading computer screens was very difficult in most areas. I had the pleasure of visiting the Östra Hamngaten building several times between 1990 and 2000 and the Pumpgatan building the week after it was officially opened by the King of Sweden in October 2003. In 2005 the company moved to an area to the west of the Pumpgatan building to a building in an area known as Lindholmen where the major presence is Chalmers Technical University. 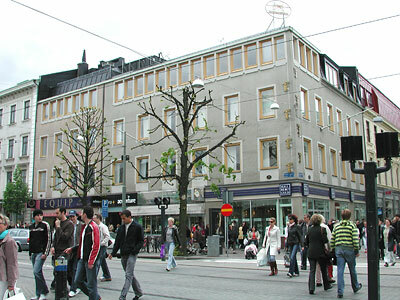 The company occupies the third floor of a building at Utvecklingsgatan 2. The building exterior is quite nondescript industrial design but the interior is well designed and comfortable with attention to typical Swedish interior design and ergonomics. 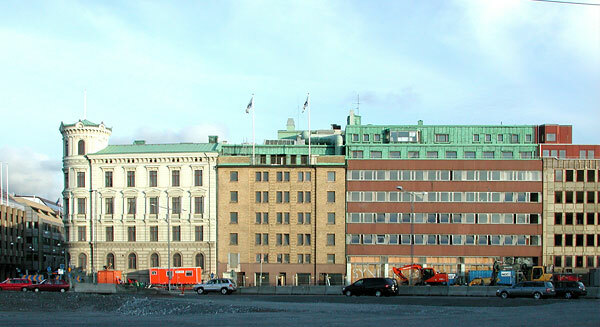 In July 2007 it was announced that Swedish Television, Swedish Radio and the Swedish Educational Broadcasting Company will be moving into the former Hasselblad building at Pumpgatan. The glass part of the building, which was used by Hasselblad as both office space and manufacturing area, will house offices and studios. The lower part of the building, used by Hasselblad as manufacturing area and warehouse, will be used to accommodate television and radio studios. 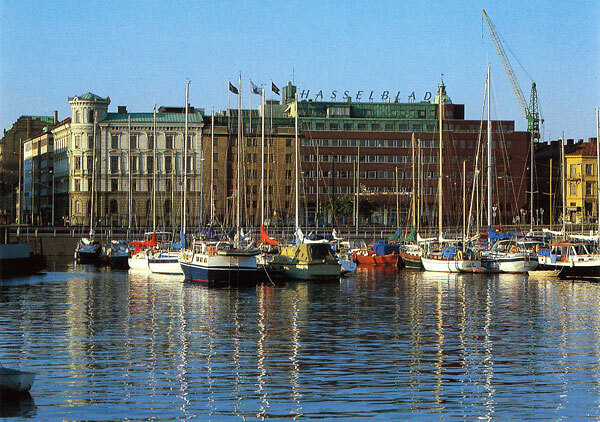 The building formerly known as "Hasselbladshuset" will change its name to "Kanalhuset" - both "Channel House" and "Canal House". The Utvecklinggatan building is a much more modest building than the Pumpgatan one and seems to suit the company in its present stage and size. 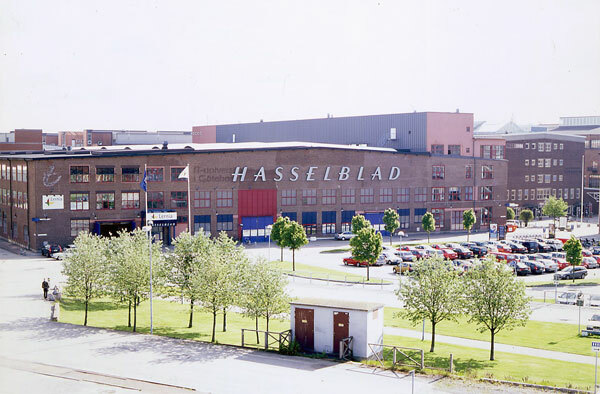 At its largest in the 1980’s, Hasselblad AB employed more than 500 staff. The present company comprises about 60 employees. If you phone in advance, in most cases you can arrange an informal tour of the factory. Copyright 2006 - Rick Nordin. All rights reserved.